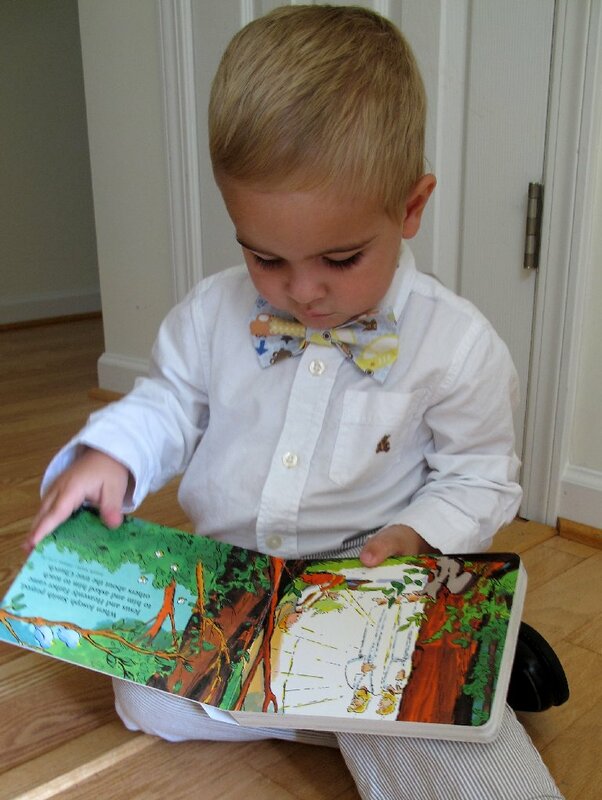 Heck, I love big boys in bow ties too. This is not my first bow tie tutorial. 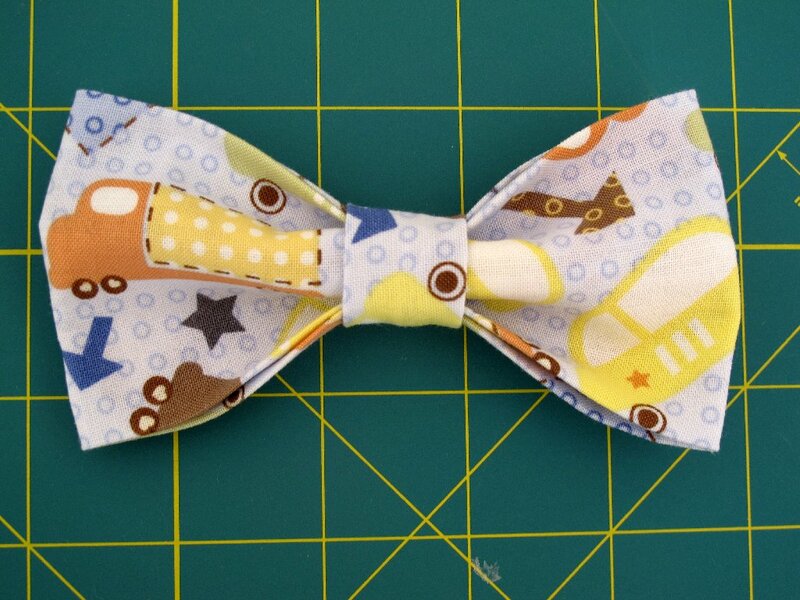 I made a crochet bow tie here and a long, long time ago I made my first bow tie here. 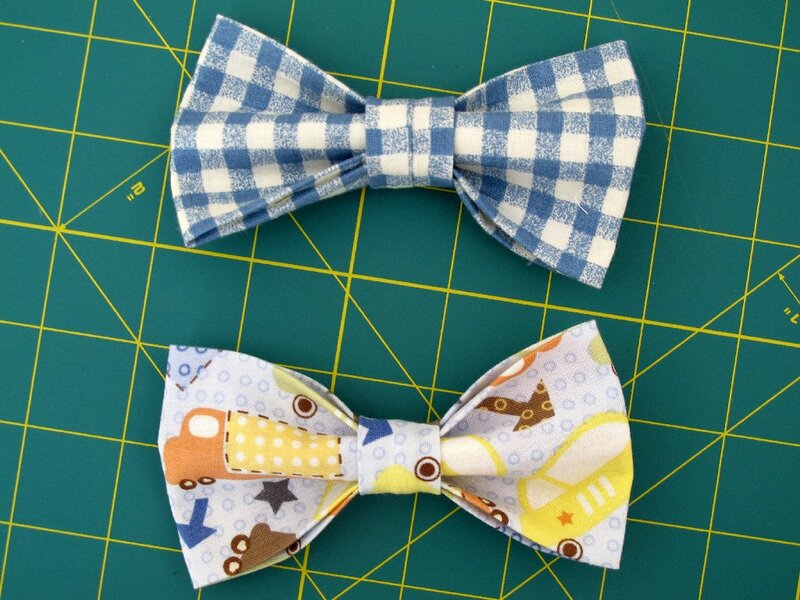 They both turned out well, but I think I have perfected my bow tie pattern even more. 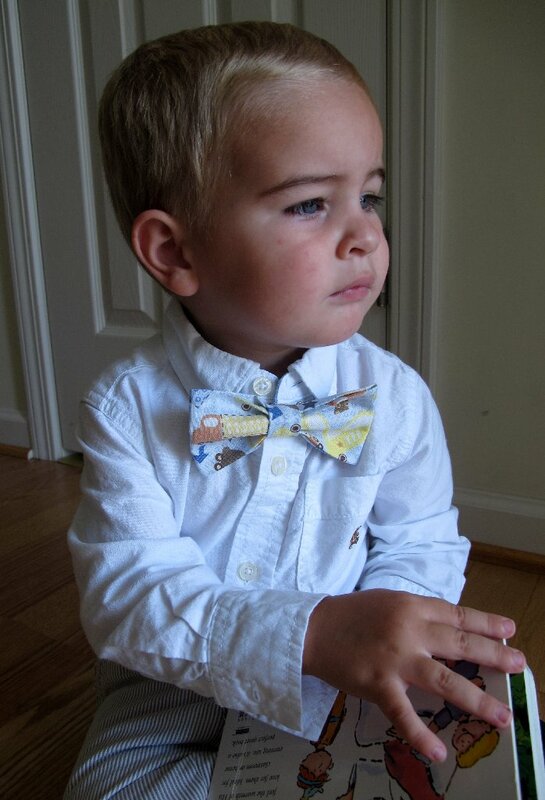 This bow tie has a pin on the back, which makes it so versatile. 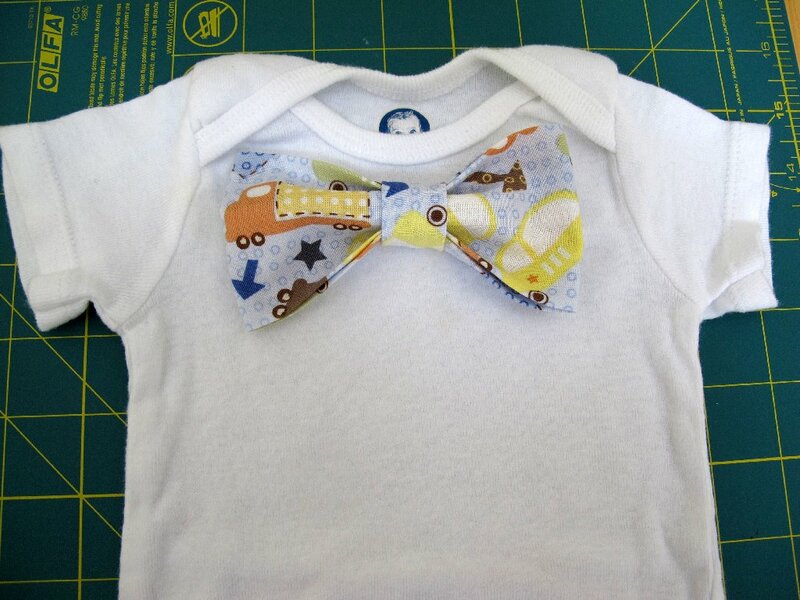 I can pin it on Ande's shirt, as well as Owen's little baby onesie. Another great thing about the pin is that Ande can't take it off! Want to learn how to make one too? Like everything I make, it is so easy and simple. 1. Cut out 2 pieces of fabric. The larger piece is 10 in. by 6 in. The smaller piece is 5 in. by 2 in. 2. 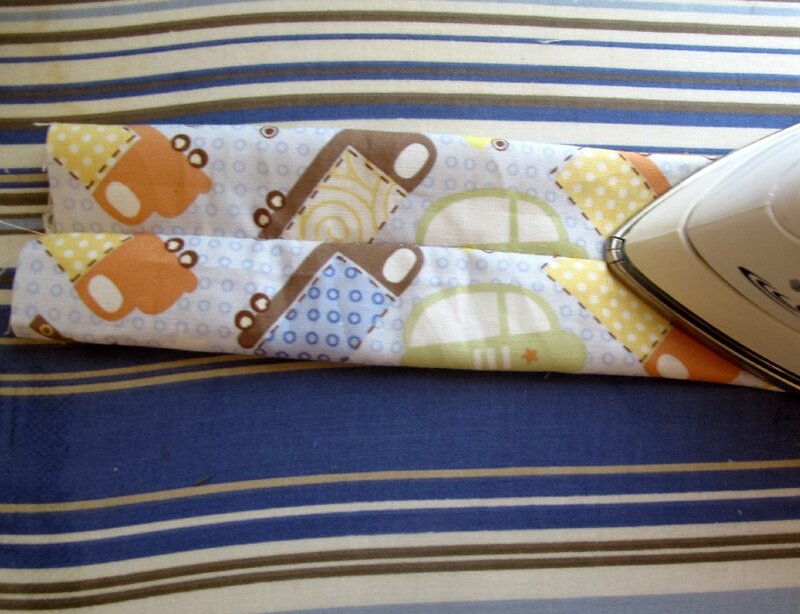 Fold each piece of fabric in half the long way, right sides facing in. Then serge or sew down the long edge. Flip each piece right side out. 3. Iron each piece of fabric so that the seem is in the middle. 4. 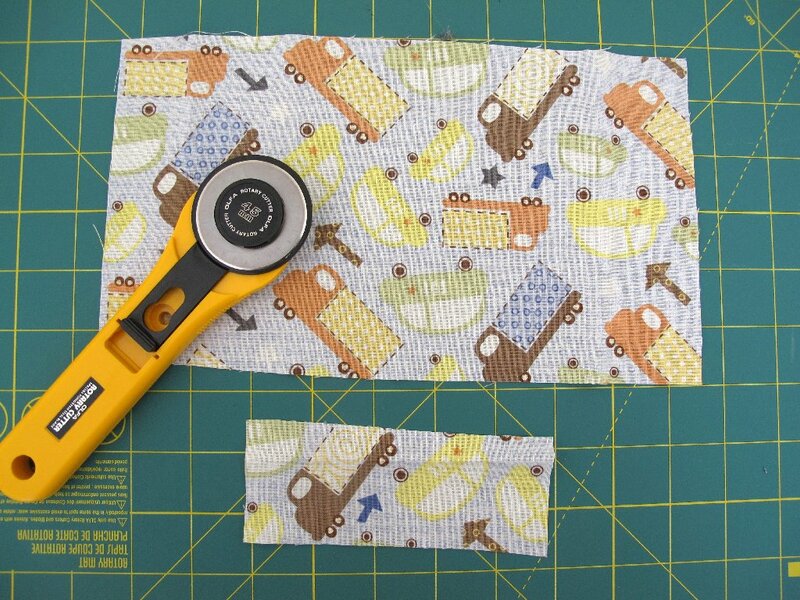 Fold each piece of fabric in half again, with the short edges together and the seem on the outside. 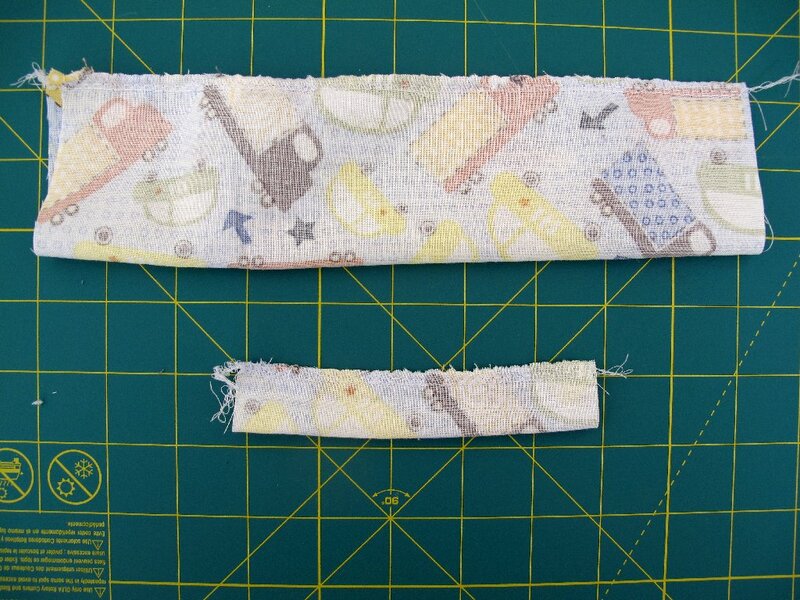 Serge or sew this short edge together. 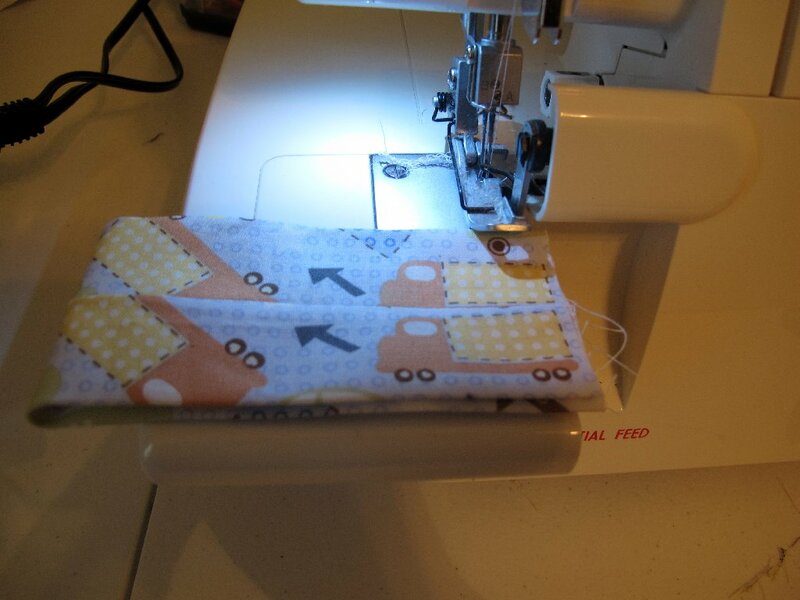 Flip the fabric pieces now so that the seems are on the inside. 5. Iron each piece of fabric with the seem in the middle, once again. 6. 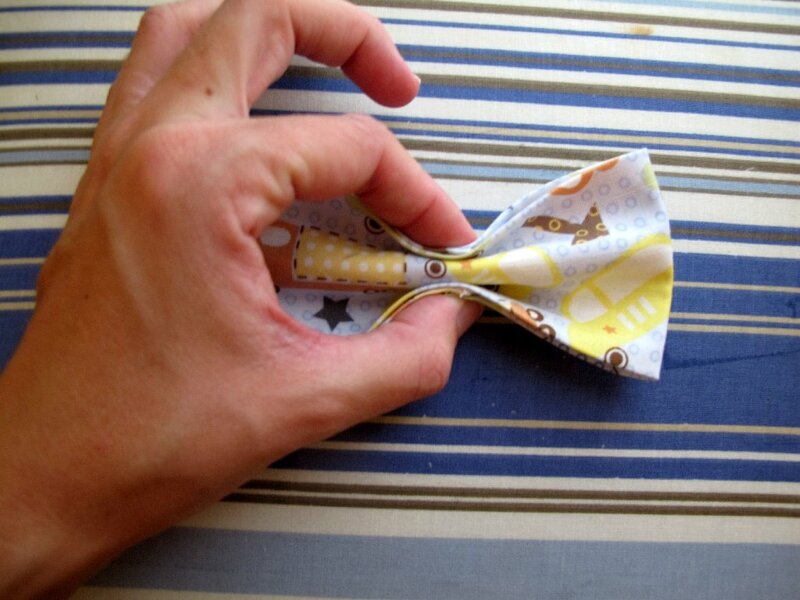 Sinch the larger piece of fabric as shown in the picture below. 7. 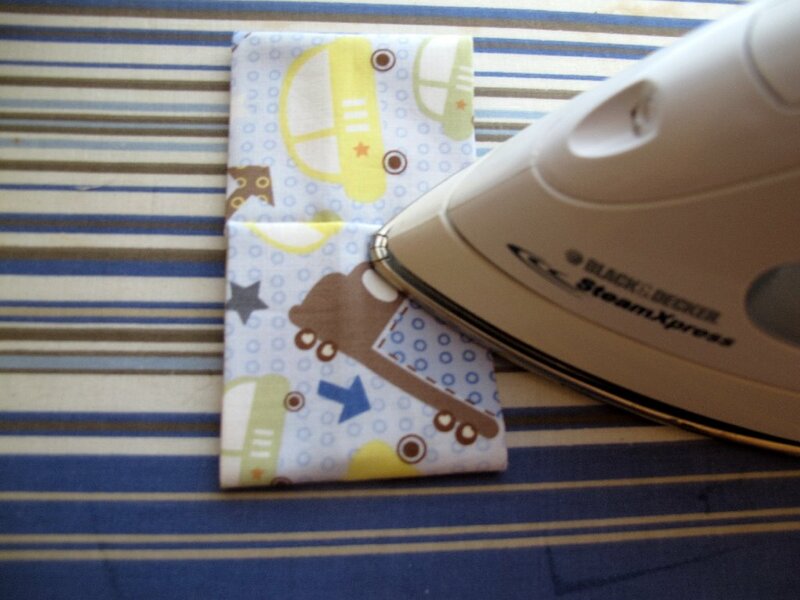 Slide the smaller piece of fabric over the larger piece and center it in the middle. 8. Take a broach type pin and attach it to the back. Take some hot glue and dab it in a few places to keep everything secure. I dabbed in the front behind the center piece, and in the back to keep the pin in place. I made these so fast which is a great thing for me right now. I really don't have much time for any crafts or sewing, so anything I make has to be super easy and quick to work up! You could make these in different sizes too. When I went to pin this on Owen for church on Sunday, I found that it was a little too big for my liking. I'm going to make a couple more in a more miniature size! All snazzed up and ready to go! 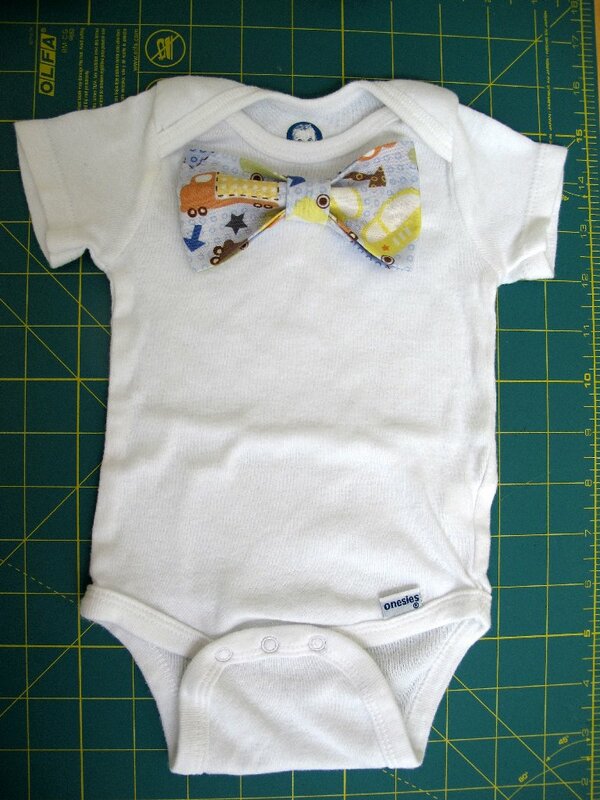 Oh, I am SO making this for my little guy! Adorable! what a cute and handsome little boy! 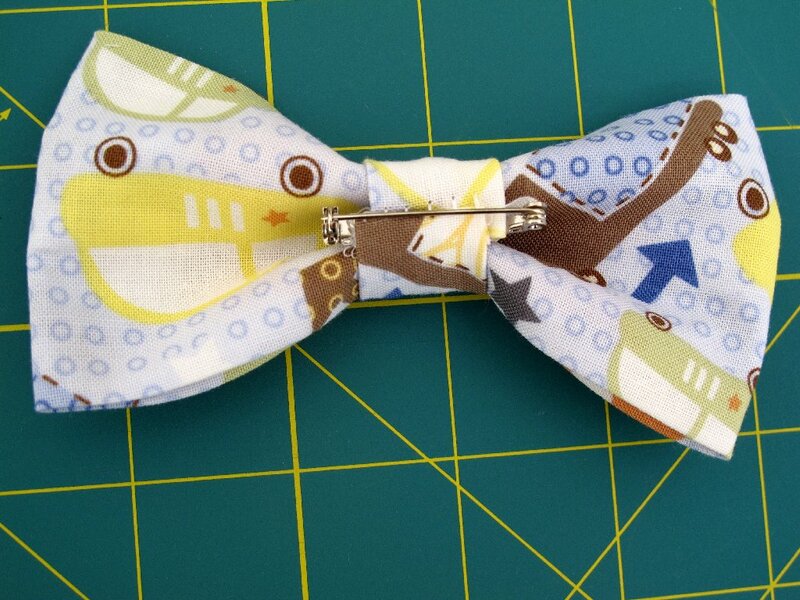 i'll have to make one of these bow ties for my nephew! 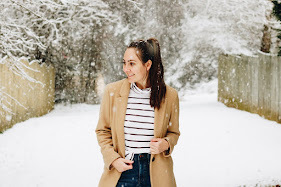 I love this, thanks so much for sharing! 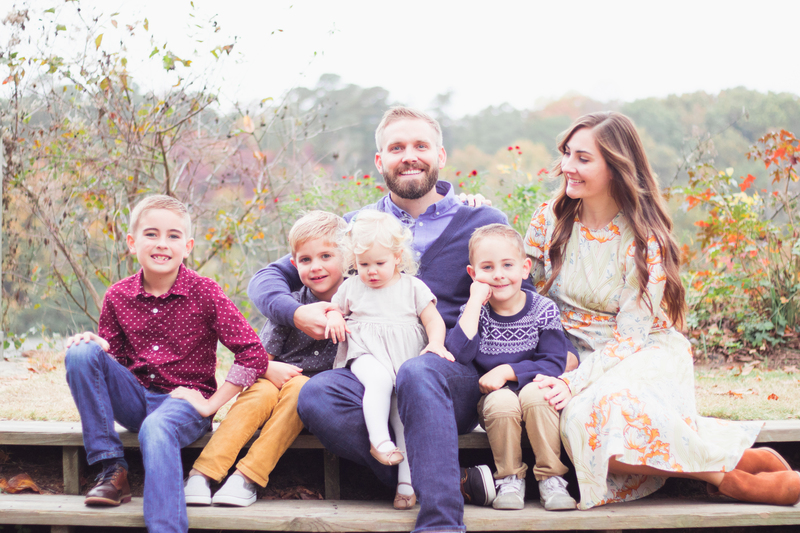 I featured this on my Friday 5, have a great weekend! This is SO cute! I love it! I would love it if you would share this and/or any other projects you have been up to at Tuesday Talent Show at Chef In Training! Thanks so much and I hope to see you there!